Novick Cardiac Alliance is featured in National Geographic Adventure Magazine. 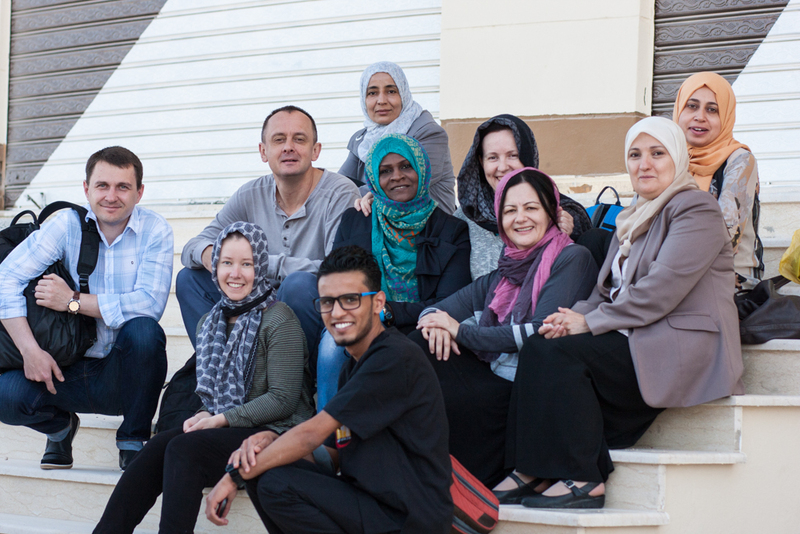 Jordan Campbell- A writer and filmmaker travelled with us to Tobruk, Libya. His story was recently published in National Geographic Adventure. You can read the whole article below. With your help we can continue to support our projects in countries like Libya. Imagine working in a hospital where the sound of nearby gunfire is a daily occurrence. Where equipment and supplies are rationed and nothing is thrown in the bin ever. Where nurses have to make their own sterilising solution and alcohol hand-wash.
Where nursing autonomy is greater than in most other healthcare settings – nurses have full authority to act in accordance with their professional knowledge , are competent and courageous to take charge in every situation, are incredibly skilled and beyond amazing at dealing with the daily frustrations of this type of work. This outlines the time I spent in Libya with Novick Cardiac Alliance. Whilst not my first trip of this kind, the complex political and security climate in Libya made it perhaps the most challenging trip I’ve taken part in. It was frustrating, exhausting, difficult, scary, and incredibly rewarding and enjoyable all at the same time. I had the pleasure of working with the most skilled and knowledgeable health professionals I’ve ever encountered and learnt something new every day. 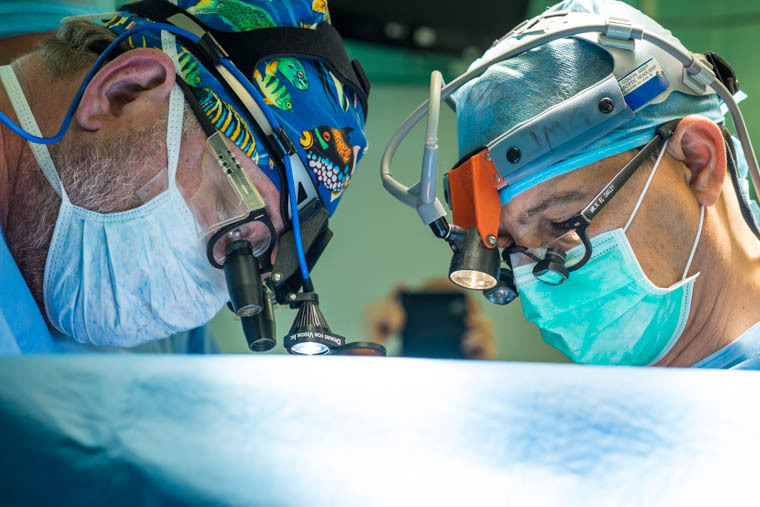 In the two weeks that I was there, Cardiac Alliance operated on 17 children that would otherwise not have been given the opportunity to have lifesaving cardiac surgery. Before I left for Libya, I was continuously asked: “Why would you go to a country at war with itself, you must out of your mind? !” Maybe that is true? But I’d do it again and again without hesitation. For the children that can be saved, for the families that are just like mine and yours and deserve equality of medical care, for the nursing skills and knowledge obtained, for the many children still in Libya that await future Cardiac Alliance trips to have their hearts fixed too. Time and time again I meet the most inspirational people in countries that most people wouldn’t dream of visiting – Thank you to all at Cardiac Alliance for welcoming me into your team and helping to make this trip a success. And to the Libyan children and their families- Thank you for teaching me more than I can ever possibly give. Volunteer with Cardiac Alliance and be part of saving lives today! A Story or Two for Ayat! Ayat was born with a heart defect. 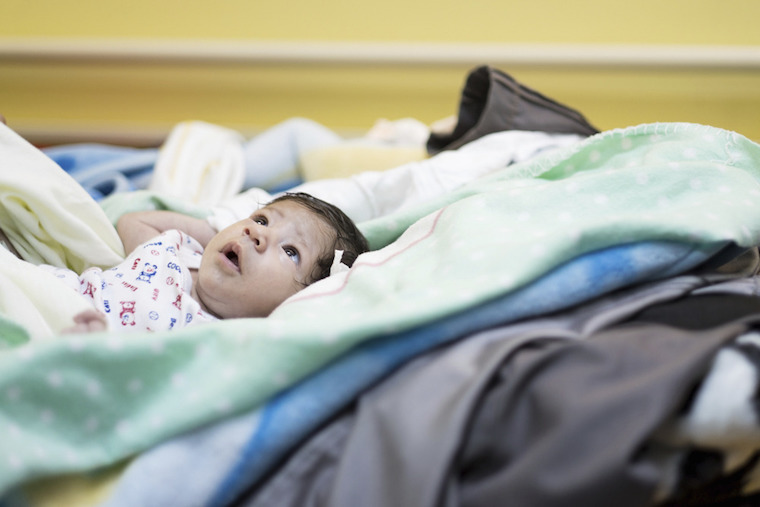 Within minutes of her birth, trained specialists were at her side caring for her. After discussing Ayat’s condition, the doctors decided to operate on her twice: a partial correction immediately and a full repair after 6 months. Ayat did well through both surgeries, doctors have cared for her all of her life and she is healthy and happy. At least, that should be her story. But Ayat was born in Libya in the midst of a civil war. 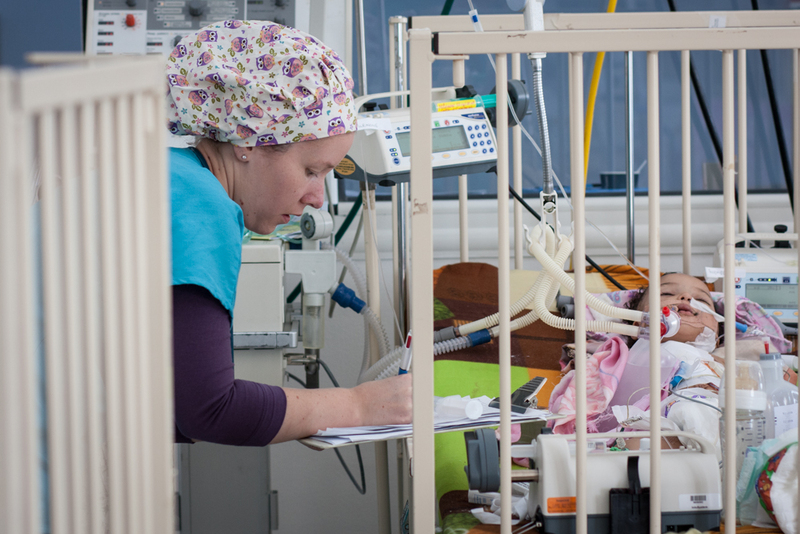 She was born six weeks early and spent the first month of her life in hospital. 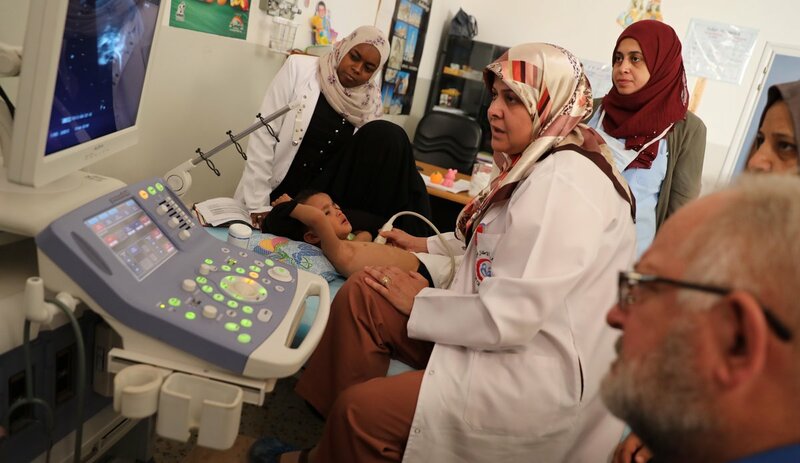 Ayat’s mother was told her baby had a problem with her heart, but the hospital did not have the equipment to find out what the problem was or anyone who coud treat her heart. 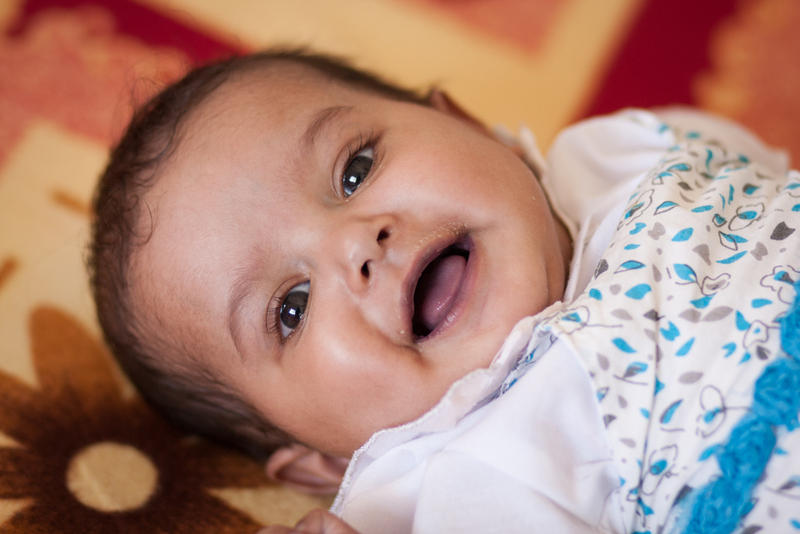 Ayat finally went home six weeks after she was born—she was still sick and struggled to breathe and gain weight. 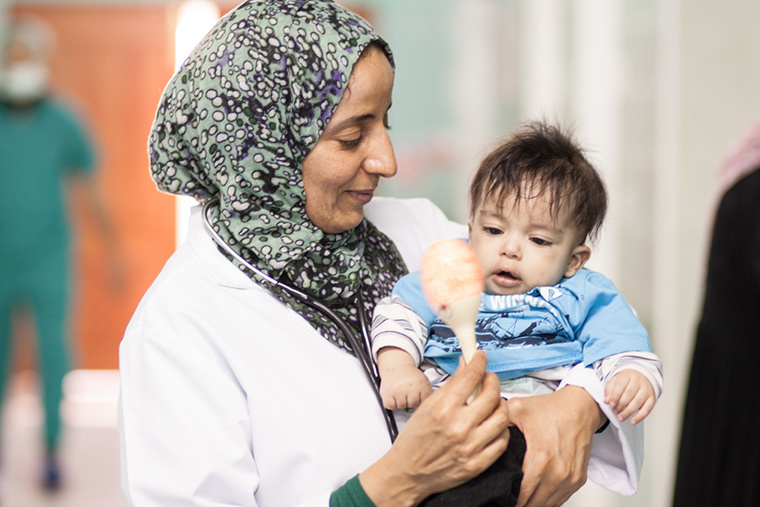 When Ayat was two months old her parents travelled to Benghazi to see one of Libya’s few pediatric cardiologists, Dr Naema, and she advised urgent surgery and started some medicines that would help. 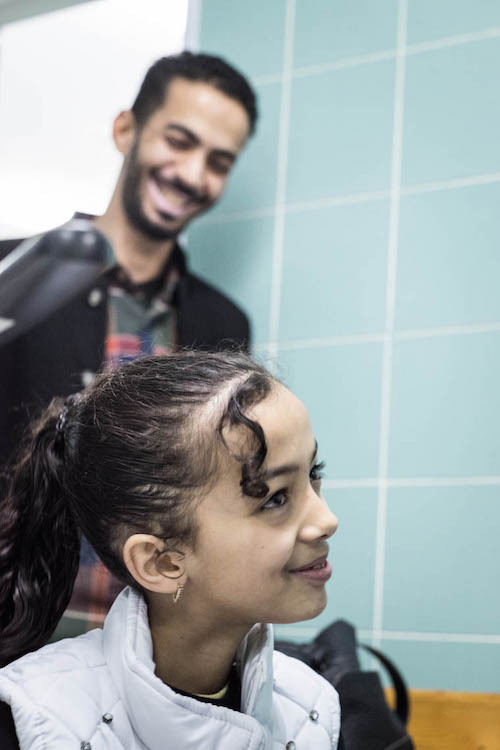 Ayat’s parents struggled with what to do next—they have three other children who need to be cared for and traveling to Tripoli was out of the question–the region is just too unstable. Ayat’s parents decided to go to Egypt and search for help there. In Egypt, they were again told just how sick their little girl was and that surgery was the only way to save her life. The wanted her to have the surgery but in Egypt the cost of the surgery was $40,000—way out of their reach. 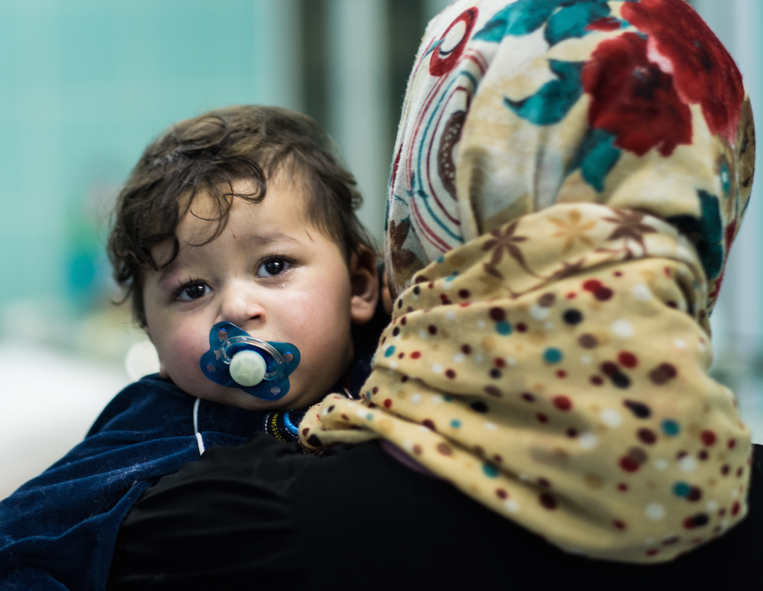 And so they returned home to Libya with little hope of saving their baby. Then in May of this year, Dr Naema from Benghazi called and told them that a foreign team of cardiac specialists would be traveling to Tobruk to do heart surgery on children and she wanted them to bring Ayat to see what could be done. Ayat was seen by the Cardiac Alliance team in the second week of May and had the first of the two operations she will need to fix her heart. 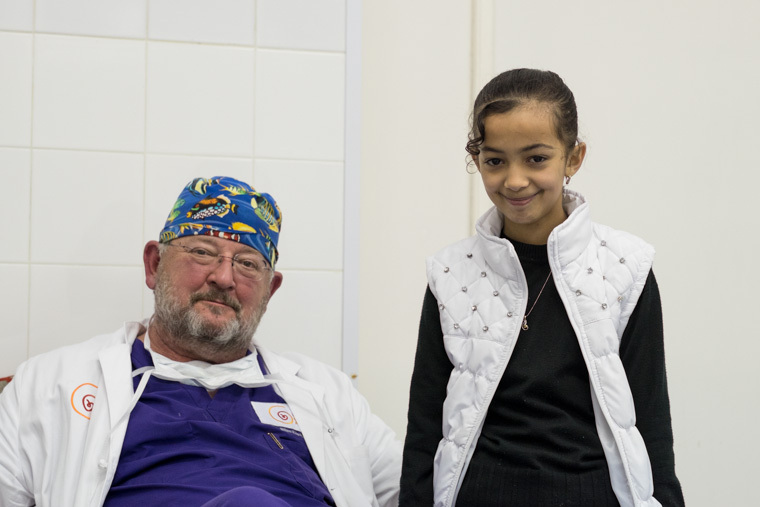 Ayat was so sick by the time she finally had surgery that she spent a month recovering in the ICU in Tobruk with our Cardiac Alliance team. 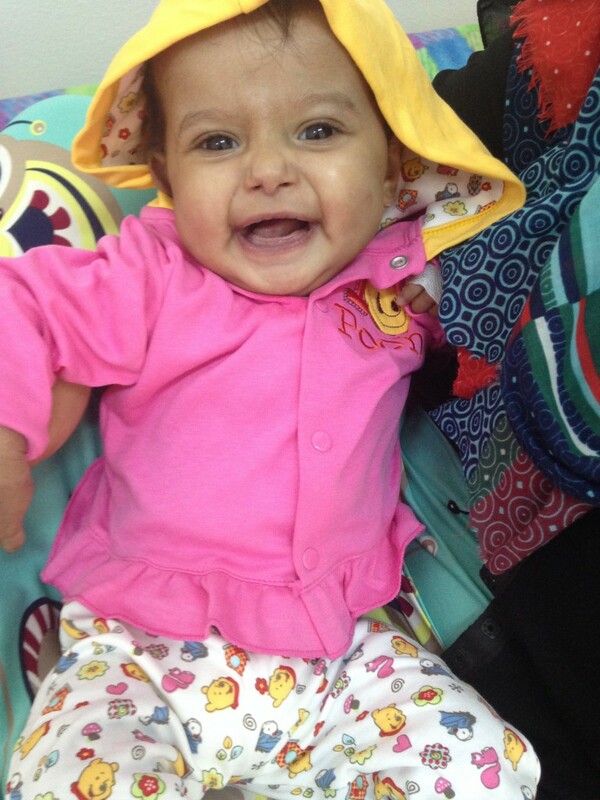 But there is a happy ending to this story- Ayat is now well and at home with her parents. 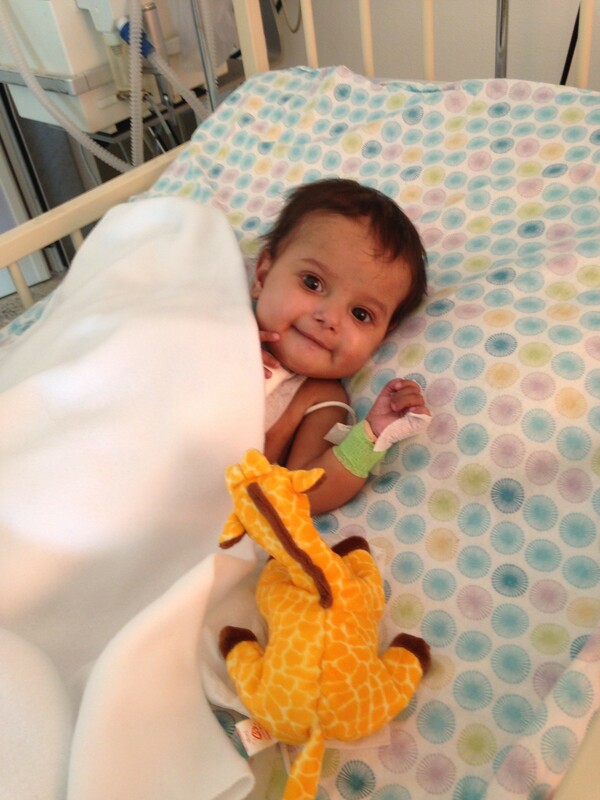 Ayat has had to struggle to survive—we are very glad she is a little fighter. Together, we can make it possible for children like Ayat to have the first story! 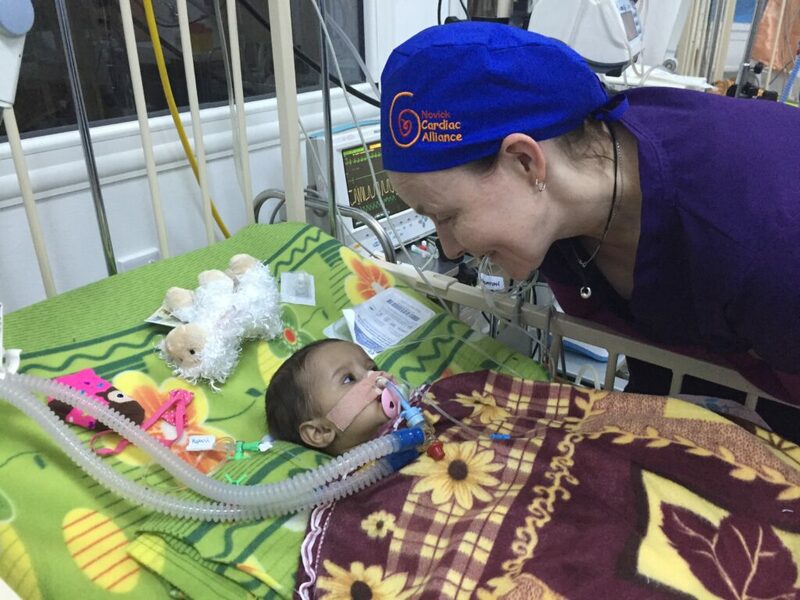 At Cardiac Alliance we train local Doctors and Nurses to look after children with heart disease wherever they are and you can help. Help us change the story for children like Ayat around the world by volunteering with us on our next trip or Donate financially today and be a part of giving Happy Beginnings as well as Happy Endings. Dedicated to my heart warriors Ellie and Kurtis! Why do I travel and volunteer in some of the most “undesirable” tourist destinations in the world on my vacation time? It is difficult to pinpoint the exact reason why I chose to take time from my busy life to “vacation” Tobruk, Libya, where I find myself currently, but the rewards are most definitely more valuable than anything imaginable. Most people I know ask why would you go to such a place on your vacation time? First and foremost it is the children and their families, it is the same reason I work at my job in the United States but with a very large difference. 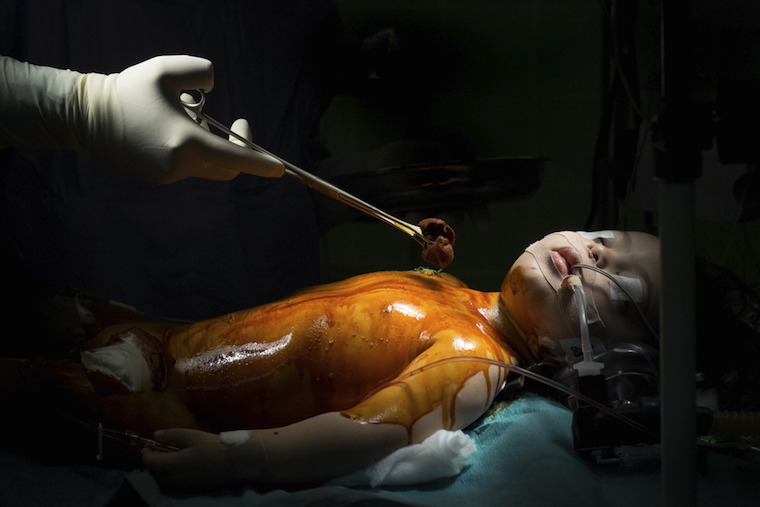 These children are born into countries and situations where not even one surgical option exists. They are lacking a solution. 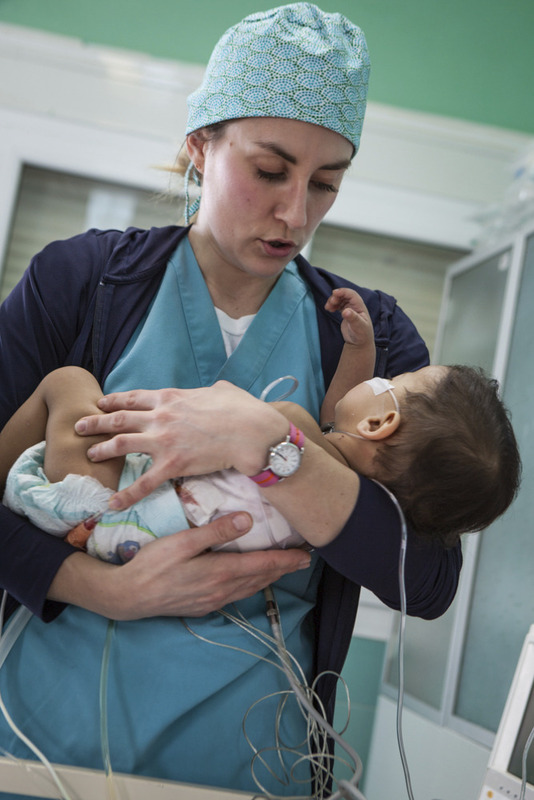 The local medical professionals need knowledge to perform surgery and care for their children. I first heard of Dr Novick when I was a new nurse, at a seminar at my hospital through Children’s Heart Link, but waited until my 5th year as a PICU nurse to actually sign up and travel on a team. 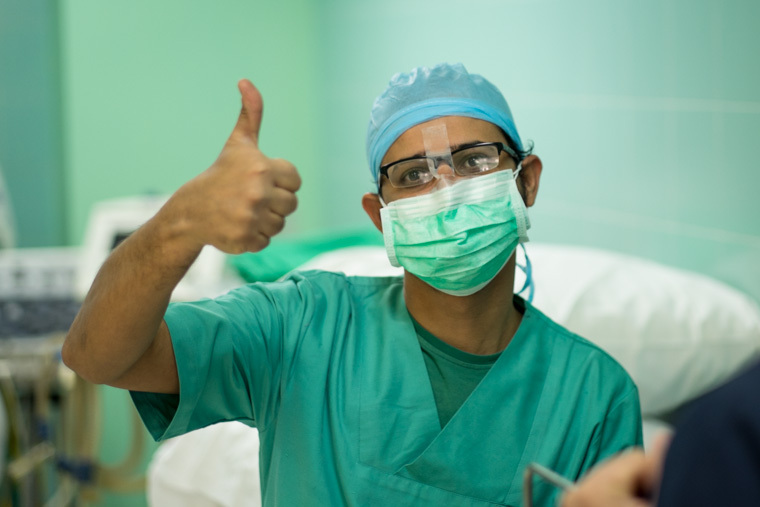 I have since traveled with Dr Novick, 14 times and am always mezmorized by the knowledge and compassion he carries within himself as he inspires medical professionals from around the globe to volunteer their time to help the children. 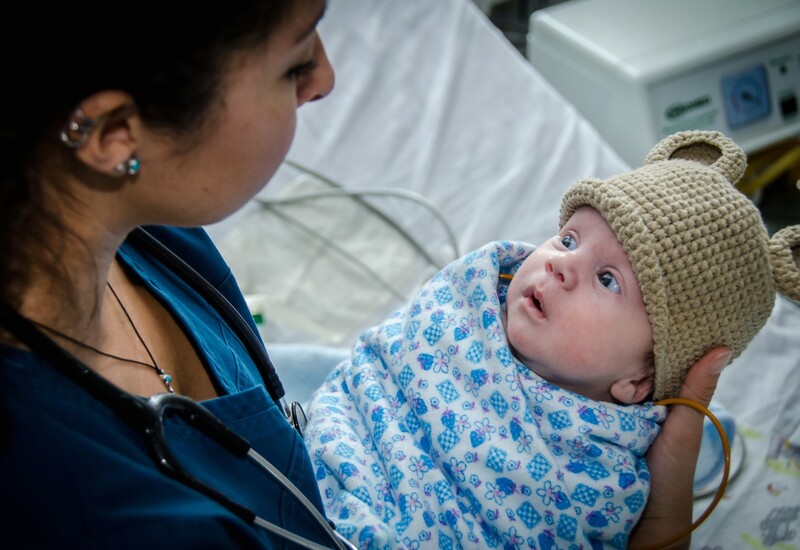 Dr Novick and his team do not only mend these tiny hearts but also look at ways to provide sustainable healthcare solutions in these countries. 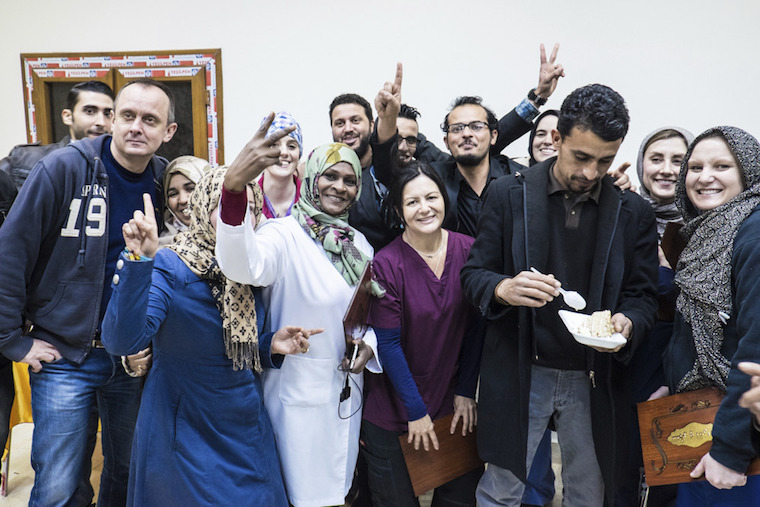 In Libya I had the honor to work alongside Dr. Novick and to me a “dream team” of international health care professional volunteers, I reconnected with local colleagues and met new Libyan health care professionals. 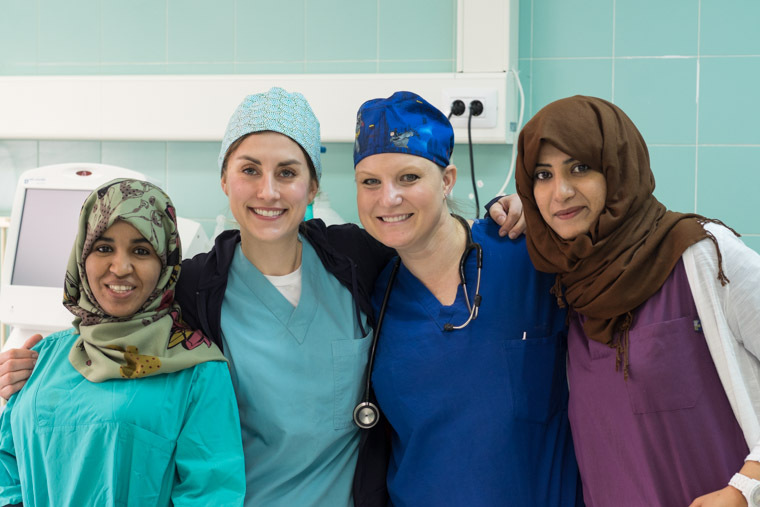 It is wonderful to see their growth as health care professionals and their true compassion for furthering their education, even in the most desperate of situations with an on-going civil war. This idea is what draws me to Dr. Novick and his team as this is what I see is the most important aspect of these trips. 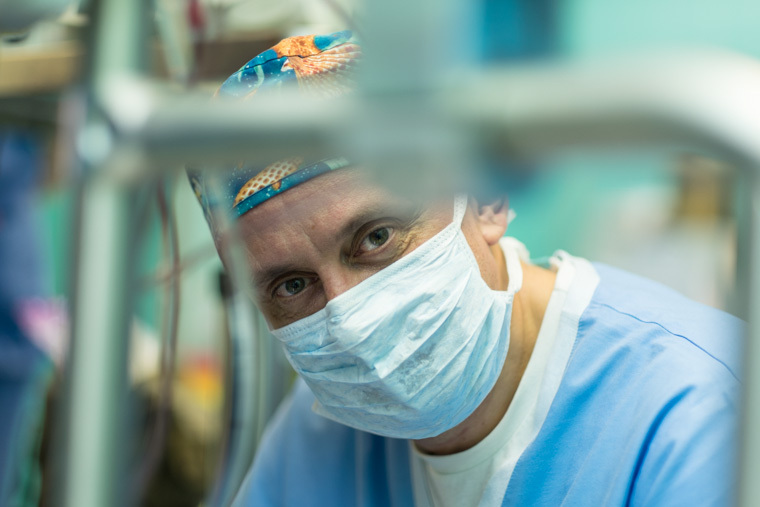 I am fortunate to be able to travel to places I never dreamed of visiting and have forged a “family of friends”, both from Cardiac Alliance and local team members, whom I will always have a special connection. So, while Libya may not be the top tourist destination in the world, I will leave this trip with an experience which is very special and heart-warming, to know I have directly impacted the health and future of the Libyan children. Our most recent trip to Libya was truly groundbreaking. 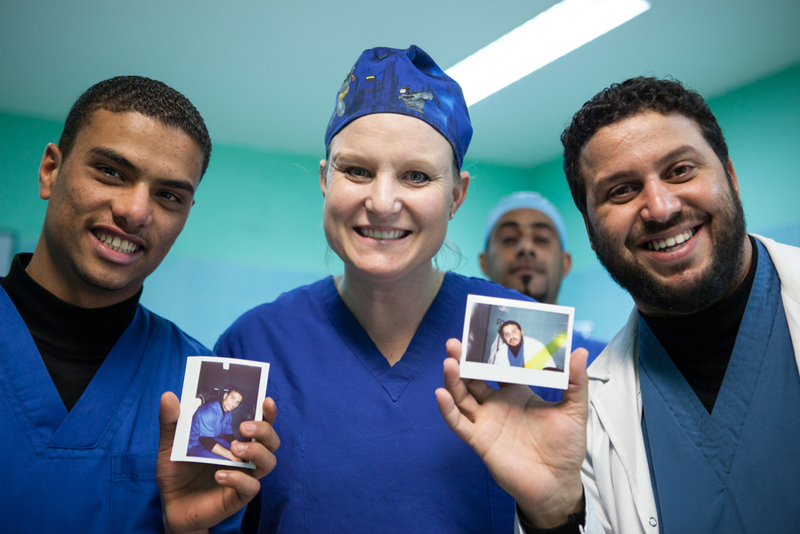 The first open heart surgery in the city’s history and a hospital flooded with camera crews to document the occasion showed just how thrilled the local Libyans by this first mission, but this was also a first for some of our volunteer nurses. 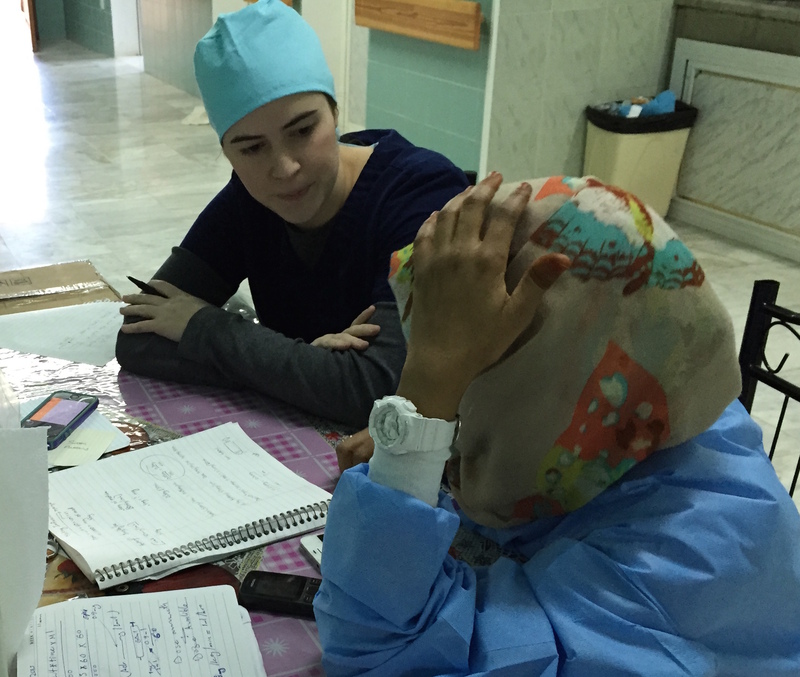 Of all places, Angela and Amalie chose war-torn Libya for their first volunteer experience with the Cardiac Alliance. 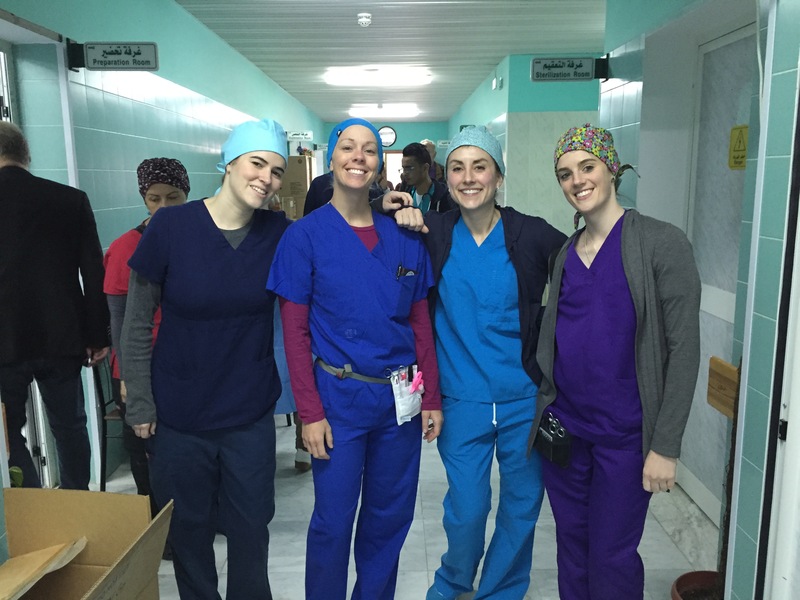 How did nursing in Libya compare to nursing back home? Angela: Culturally, the accountability and the sense of time was so different. 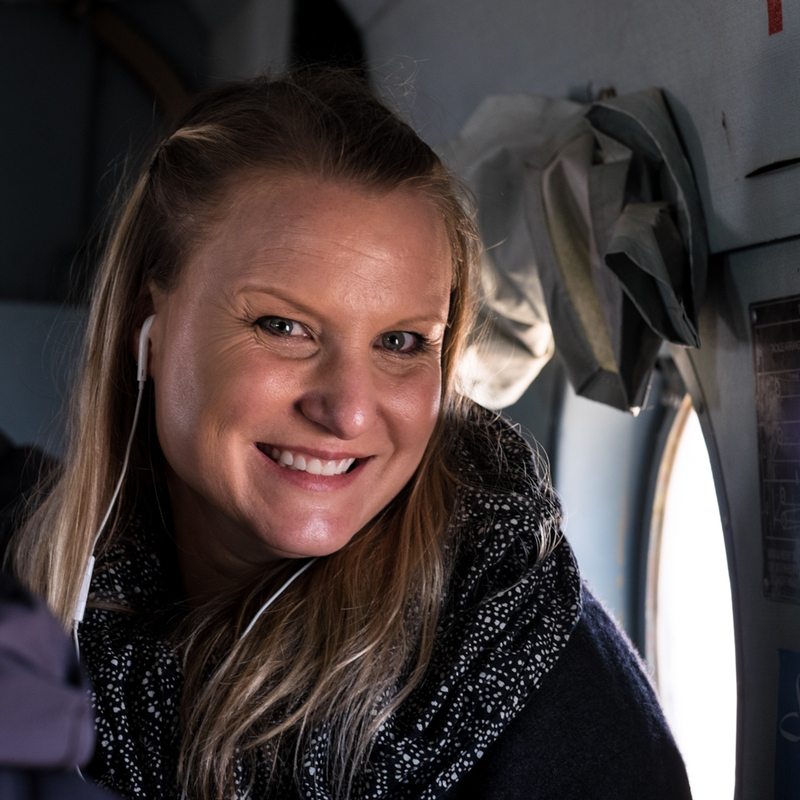 Amalie: I loved getting to work alongside the locals in terms of cultural exposure, but communication with locals was a big challenge. 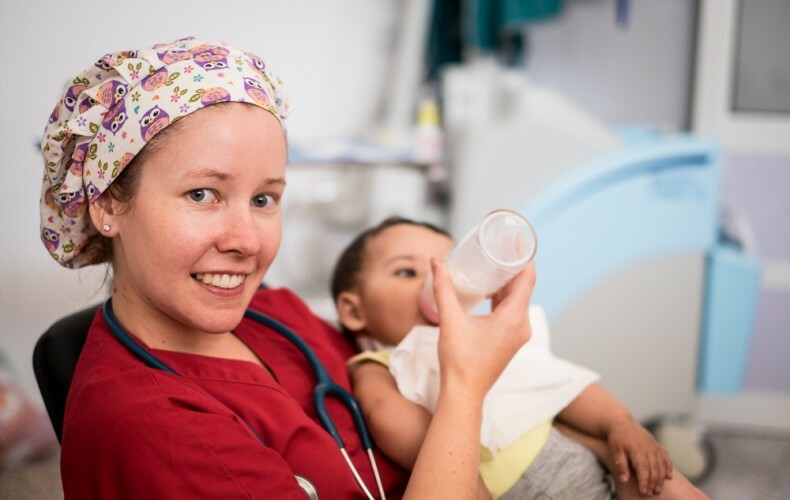 I started out frustrated with the local nurses, like they were just a tag-along making my work slower and a bit harder, but I began to realize how valuable they are to the team, especially if you allow and trust them to have responsibilities. 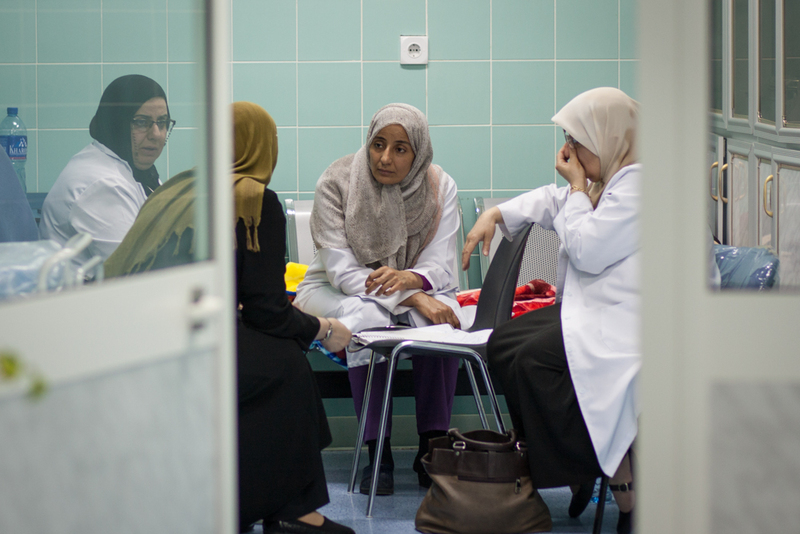 Thoughts on training the Libyan nurses? Amalie: When you do the work for them, they don’t feel accountable. When you give them the responsibility to do it on their own, they can rise to the occasion and it’s amazing to see. Stacey told me to make a plan with the nurses I was overseeing, and that worked well. I could leave for a couple hours at a time, and when I checked back they’d done everything right. Setting expectations ahead of time really helped. How did you find working with Dr. Novick’s team? Angela: In general, Dr. Novick’s team was really supportive and fun. They weren’t intimidating to approach. I was surprised by how well they all knew each other. 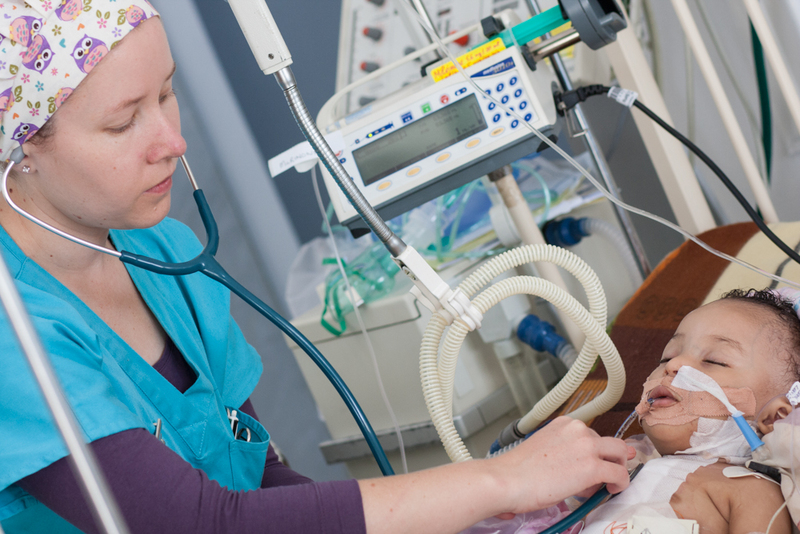 Amalie: I remember handing a little boy to his mother and was impressed that Pasha (ICU Intensivist) was right there helping position chest tubes and IV lines. No doctor back home would be that involved, helping handle the patients. Highlights of your time in Libya? Angela: I loved getting to work with the locals. I’d like to experience more of the culture, and I enjoyed visiting Libya because it isn’t a place I could easily travel on my own. Amalie: It was really cool hanging out with the local nurses, Fatma and Naima, outside of the hospital. It’s great getting to know locals outside of the ICU. Angela: I’d do it again, but I probably wouldn’t come back to Libya. It’s a little more challenging and restrictive than I thought it would be. 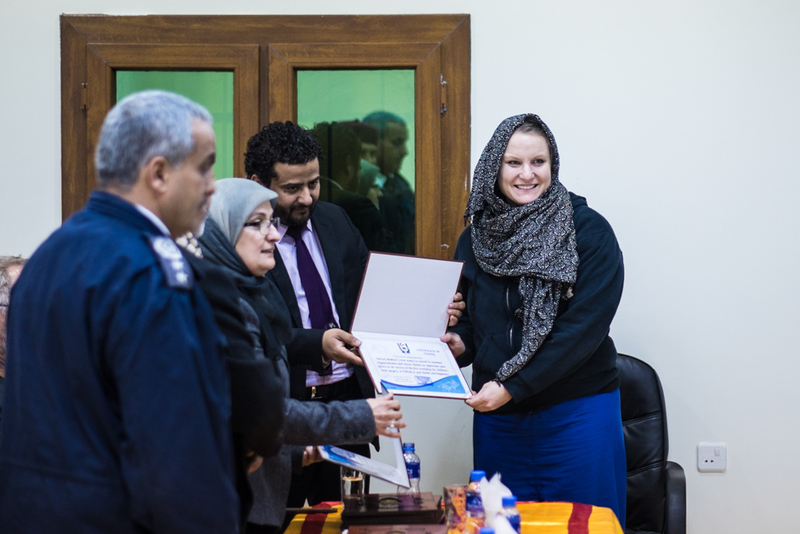 Amalie: I may come back to Libya, but I’d like to work in a few other places. I think the main reason I’d come back was to work with the Novick Cardiac Alliance regulars. They’re just really cool and really experienced and fun to be around. Amalie: This is real nursing. On trips like this, you do things because they need to be done, not just because it’s protocol or a hospital standard. I think that’s what made this all feel so ‘pure’—it’s all about the patient rather than following protocols for their own sake. I’m not sure how to begin writing about my first volunteer trip with Cardiac Alliance. I could write about my feelings throughout the two weeks, the experience of working with the local nurses, the awesome Cardiac Alliance staff, patient stories, and more. The first thing that struck me is the reality of having limited supplies and resources. At home, our stock seems endless. When I run out of something on the unit, I call central supply and get more. If we ran out, we’d have to get creative and make do with what we had by cutting, taping, cleaning and reusing, or simply going without. For example when we ran out of blood test cartridges, we had to rely on accurate physical assessment skills instead of lab tests. In addition to limited material supplies, I was stripped of my usual informational resources. When questions arose, there was no internet or computer to look up the answer. My team members became my sole resource. The incredible teamwork and teaching that occurred are the other major things that stick out in my mind. I was the youngest and least experienced nurse in the group – both at working in PICU and at doing any sort of medical volunteering. Even so, I always felt supported by the other nurses, the nurse practitioner, and the intensivist. We all worked in the same room together, which at times was cramped and hectic. However, I think it led to better teamwork and teaching as everyone was always right there to lend a hand or to answer a question. Another thing that really struck me was how the doctor and NP on the trip often pitched in with things that are considered “nurses duties” at home. 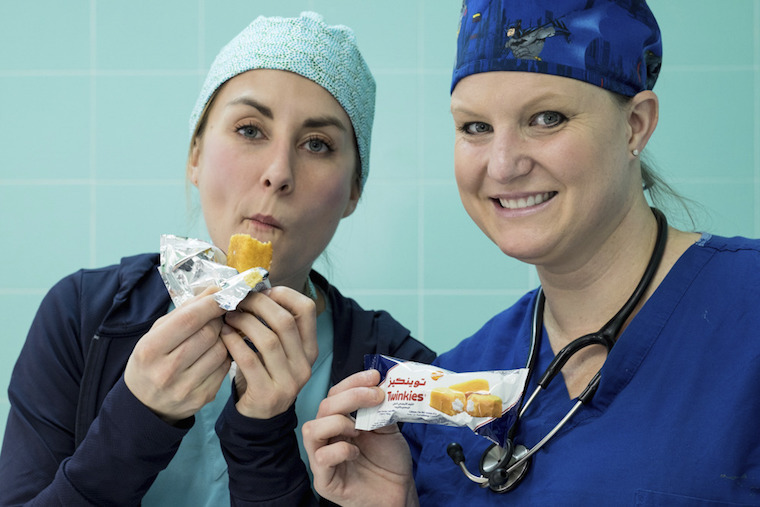 Without even asking, they would jump in and help transfer patients out of bed, figure out how to use pieces of equipment, or draw up medications. Most importantly, they were some of the best teachers I’ve spent time with. It seems to me that this mutual respect and trust are the reasons why the Alliance staff nurses are so amazingly knowledgeable, critically thinking and confident. The thing I missed most about working at home was my ability to easily communicate with parents and children. One of the most rewarding things about nursing is comforting a worried mother, so a major language barrier can make you feel useless. Sometimes the only thing I could do was put my arm around a mother, and tell her that the baby was doing well using one or two Arabic words. I learned what pure nursing looks like. It was challenging work, and I felt like a new graduate again at times but I believe it’s what I needed to get a vision of the kind of nurse that I can strive to be. I honestly hope I get the opportunity to go back for more. 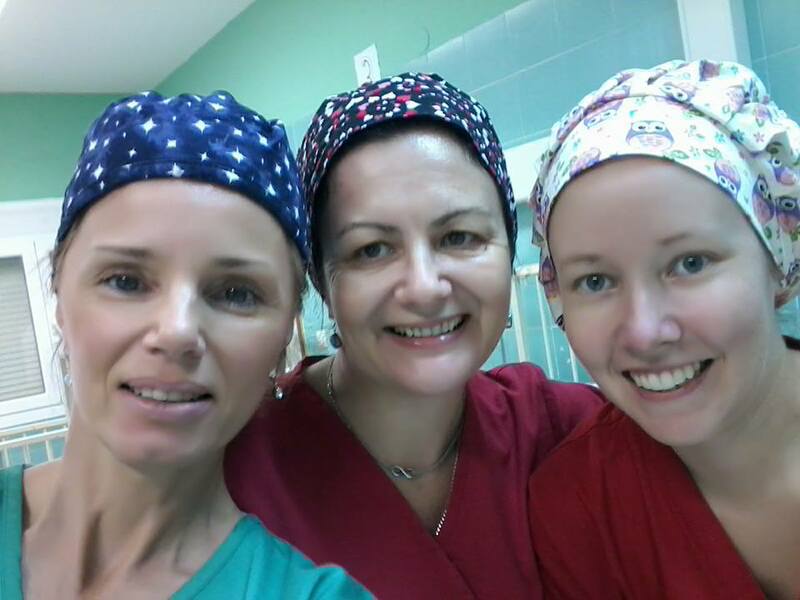 Cardiac Alliance has been working in Tobruk, Libya and Kharkiv, Ukraine over the last few weeks and we have operated on 43 children in these 2 cities. Both Libya and Ukraine are experiencing uncertainty and conflict that many of us will struggle to imagine. However, it is not so hard to imagine the heartache that a parent feels when they have a sick child. 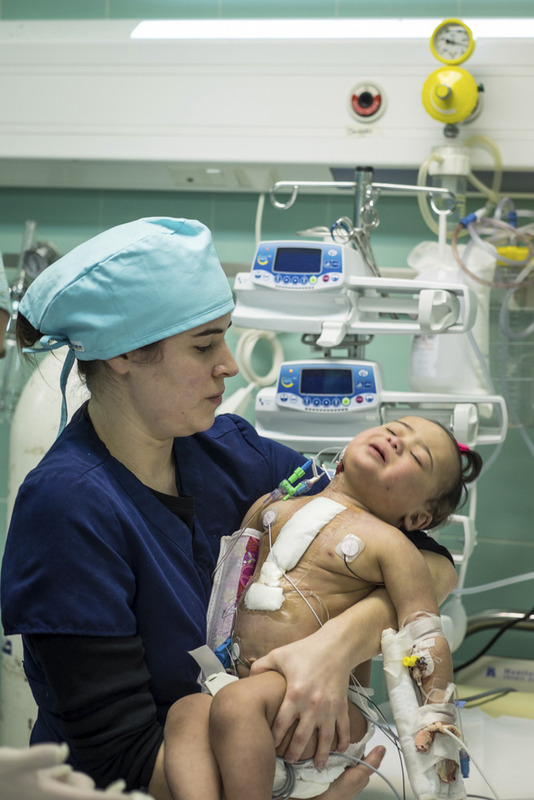 These mothers and many like them in developing nations all have a child with a congenital heart defect and are faced with the real possibility that their child will never receive surgery. The Novick Cardiac Alliance strives to help these parents and so, despite the conflicts, we have been working in these countries to provide much needed surgery and care to children.Though we feel a sense of satisfaction in being able to help these children we also feel a sense of urgency and disappointment- Because for every child that receives surgery there are many many more that will not. The sad truth is that some children will die waiting. We all have the power to change a life together and give a family a brighter future. Donate your time and expertise by volunteering with us or give today and save a life. As an infant, they heard a heart murmur. But, after being examined at a local Libyan hospital, they cleared Marwa, saying she was perfectly healthy. But Marwa’s mother was never convinced. With the eyes of a mother, she noticed how breathless Marwa became after short walks, how she turned blue when exercising. The family went in for another exam and found Marwa had a large VSD. 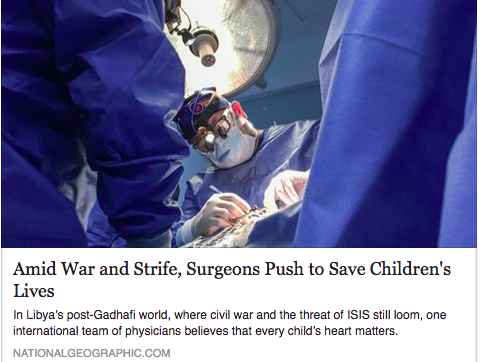 But then began the real challenge: finding surgery in a war-torn country after years of lost time. The family looked abroad for surgery options, but as soon as doctors saw her pulmonary hypertension, they wouldn’t touch Marwa. Fellow Libyans in Tripoli refused, Egyptians refused, Jordanians refused. All said she was inoperable. When they presented her to us, they thought she was hopeless, but they couldn’t stop trying. Back in 2012, Marwa became the first double flap valve patch repair done in Libya when Dr. Novick and his team visited Benghazi. She did extremely well, has grown, and her follow up has been “perfectly unremarkable” according to Dr. Novick. This week, we followed up with Marwa and got to hear how she’s doing (not to mention the sweets her mom made for us!). Her mother still pays close attention and is delighted at the change in her daughter. This the kind of impact we’re having in Libya, one child at a time! February is Heart Month—help us continue breaking new ground and saving children like Marwa by making a donation here. There’s something thrilling about a first-ever! And when your hospital has never performed open heart surgery, you get a lot of firsts. 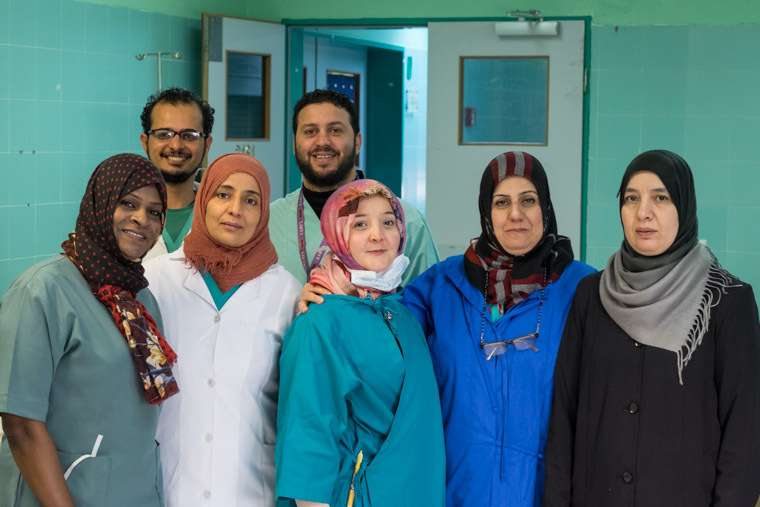 This week, Cardiac Alliance is in the Libyan town of Tobruk, and the locals are all smiles at how much they’ve accomplished alongside our team in just a few days: a first-of-its-kind medical training mission in their city, the first open heart surgery in their city (adult or pediatric), and, most importantly, the first time they’ve been able to provide for their own children locally, without having to send them away. Even after hundreds of trips and serving thousands of children, launching a new program never gets old! Come back over the next few days to see more excitement from Libya, and be sure to follow us on Facebook for real-time updates from around the world.